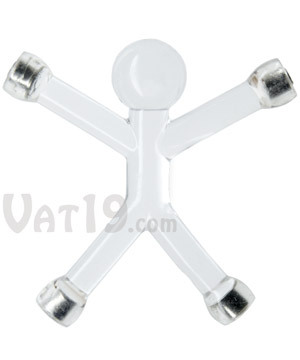 Q-Man Translucent Mini Magnets: Pliable figures with magnetic hands and feet. 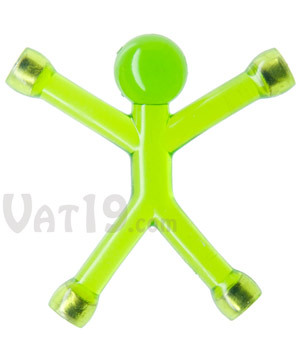 Translucent Q-Man Magnets are mini flexible characters with magnets in their arms and feet. 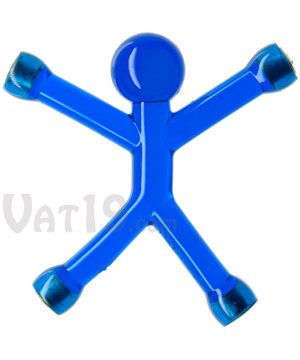 In addition to holding notes, reminders, invites, and more to your fridge, locker, or filing cabinet, Q-Man is designed to be twisted and bent into acrobatic poses for your enjoyment. Translucent Q-Man is available in a plethora of bright colors and becomes infinitely more fun when purchased in multiples (hint, hint). 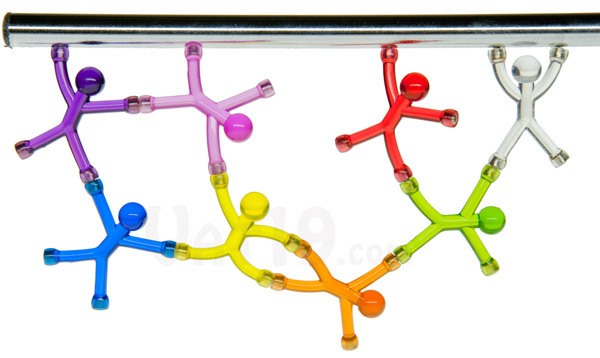 Cool magnetic characters for your fridge, office, metal plate in head! Q-Man is an easy-going guy. Twist him, bend him, stick him to a fridge, or toss him on to a filing cabinet. He won't mind. In fact, Q-Man will love it! He lives to play and hold your notes, invitations, and epic fan artwork. 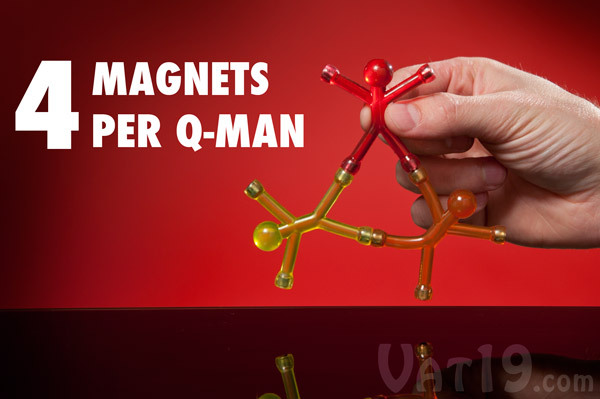 Q-Man Translucent Mini Flexible Magnets are perfect fridge companions. 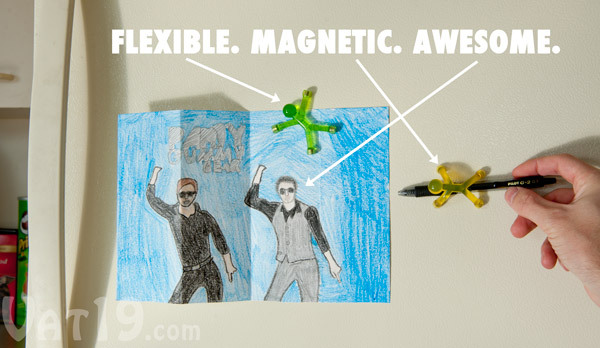 Magnets + bendy arms & legs = super awesome fun time! 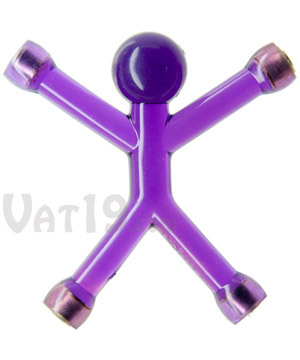 Q-Man is equipped with neodymium magnets in each of his pliable extremities. You're sure to enjoy bending him into gymnastic-like poses and attaching him to his brethren (wink, wink). 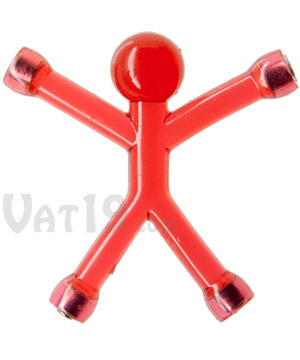 Q-Man features magnets on the ends of his arms and legs. 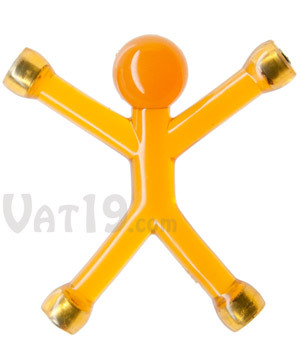 Q-Man is first and foremost a whimsical toy. What makes him awesomer is that he's immensely functional as a magnet. Employing just two extremities, he can hold up fifteen sheets of your paper. Not bad at all! 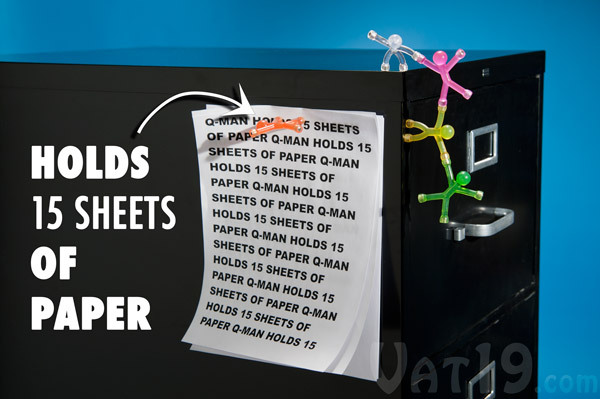 Q-Man is capable of holding up to 15 sheets of standard copy paper. 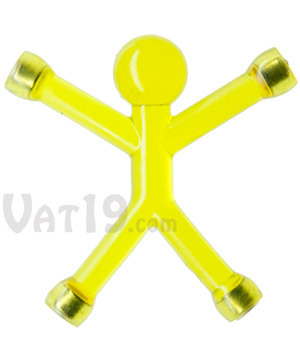 Translucent Q-Man is available in a wide variety of colors: purple, blue, yellow, orange, red, lime green, and clear! Collect them all plus their non-see-through cousins! Q-Man is available in a wide variety of colors.